There are FORTIFIED standards for coastal and inland construction, residential and commercial. Each standard will protect a property from the specific weather-related threats it will face. 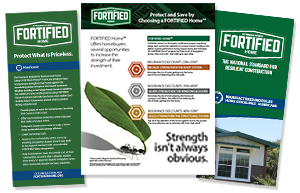 Find all FORTIFIED Home resources here.